Pet-owner Alert: Chemical in Dog Food Cans can Lead to Health Problems for Dogs – FIREPAW, Inc.
Over the past several years plenty of pet owners have wondered about it, some suspected it, and others worried about it to the point of avoiding purchasing canned dog food completely. Now a recent study has confirmed it: Dogs who ate canned dog food tested high in levels of BPA; additionally, changes in their gut microbiome were uncovered, as well as potentially adverse metabolic changes. This finding supports the multiple scientific studies linking the toxic, endocrine-disrupting food-packaging chemical BPA (bisphenol-A) to a wide range of adverse health consequences for humans, including weight gain, obesity and diabetes. Bisphenol A (BPA) is a widely used industrial chemical found in many household items, including resins used to line metal storage containers, such as food cans. 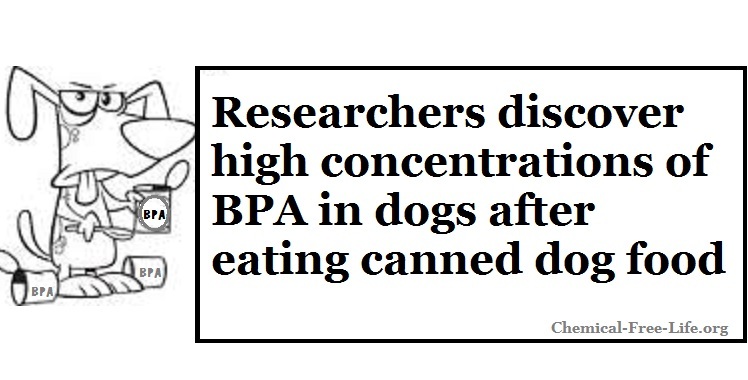 Now, researchers at the University of Missouri have found that short-term feeding of canned dog food resulted in a significant increase of BPA in dogs. “Bisphenol A is a prevalent endocrine-disrupting chemical found in canned foods and beverages. We wanted to determine if short-term feeding of widely available commercial canned food could alter BPA concentrations in dogs. Thus, we assessed BPA contained within pet food cans. We also analyzed whether disturbances in bacteria found in the gut and metabolic changes could be associated with exposure to BPA from the canned food. Pingback: New Study Confirms Effective Weight Loss Program for Dogs – FIREPAW, Inc.